Silvie is our Visiting Assistant Professor. She earned her undergraduate degree from Chapman University (Exercise Science and Movement), she has two Masters degrees, one from Cal State University Fullerton (Exercise Physiology), and most recently from Cal State University Long Beach (Adapted Physical Education). Silvie is currently working on her Public Health Doctorate degree at Loma Linda University and is expected to graduate in summer 2015. She is certified as a Registered Clinical Exercise Physiologist (RCEP) through the American College of Sports Medicine and has 7 years of clinical experience having worked in a private medical clinic in the past. There she served a wide range of clientele including patients with chronic disease as well as elite professional athletes. 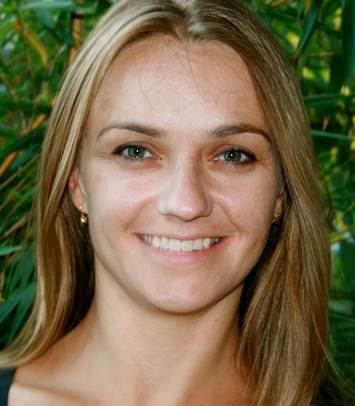 Silvie’s research focuses on clinical exercise physiology; she has studied heart rate recovery, heart rate variability, and balance and mobility in diverse populations. Silvie has been instrumental in incorporating undergraduate students in research as evidenced by the number of presentations at local and national conferences. Silvie has also reached out to the local community in several courses taking students to engage with various populations conducting balance and mobility exercise interventions. She likes to hike, garden, and practice yoga.